On November 14th, 2006, the world officially met James Blond when he brutalized a goon in a men’s room with a shocking scene of close-combat fisticuffs. In high-contrast black and white — a distinct and bold stylistic choice, something to which Bond films had long been resistant. 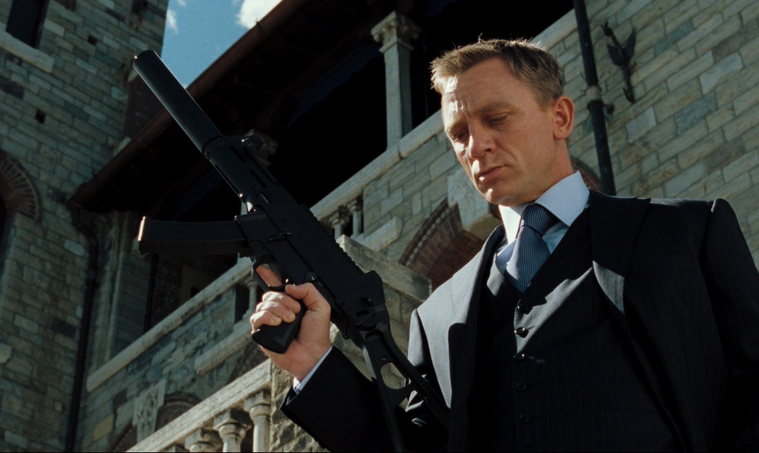 Casino Royale (2006) brought a classic Fleming novel to the big screen, with specific attention to the tone and style. Director Martin Campbell’s second successful resuscitation of the Bond franchise. This was a classic Fleming Bond character — dour, gritty — repackaged for the 21st century. A stunning turnaround after the Pierce Brosnan’s Wonderland fantasy world of Die Another Day. In the years since, Casino Royale (2006) has been elevated into Bond’s exclusive top tier, regularly mentioned alongside the gold standards — From Russia with Love, Goldfinger and On Her Majesty’s Secret Service. 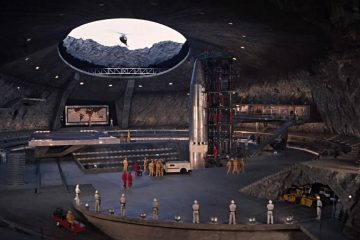 The film spawned the first direct James Bond sequel in Quantum of Solace (which only has a bad reputation, I’m convinced, because it suffered the misfortune of following Casino Royale). Some might ding the film for aping Bourne‘s cinematography and fight choreography, but beyond the new superficial Bond “realism,” Martin Campbell slowed down the pace and focused on the Bond essentials. 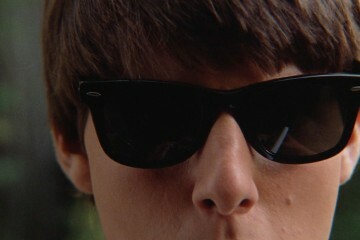 Liquor, cards, women, and memorable villainy. To celebrate the film’s first decade, #Bond_age_ would like to throw a party for all of our friends. Let’s all raise a Vesper this Wednesday to toast Casino Royale’s 10th. 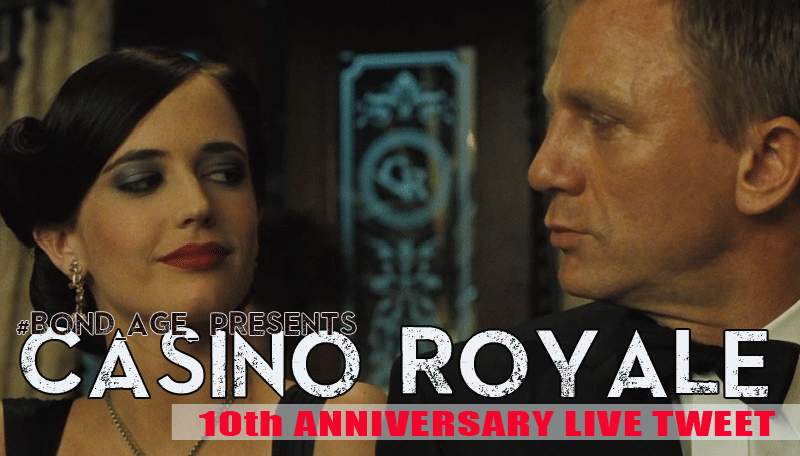 Join #Bond_age_ for the Casino Royale 10th Anniversary Live Tweet on Wednesday, November 16th @ 9pm ET. Follow #Bond_age_ hashtag.